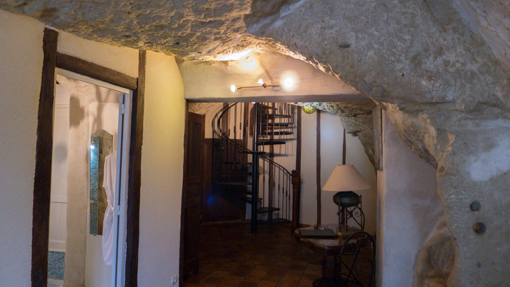 This is the first of a series of blog posts on our trip to the Loire Valley (Val de Loire). The main purpose of this trip was to attend our friend – VC’s birthday party (actually as surprise guests) at E’s place in Orleans, France. Rather than flying up to Paris, we decided to take the car. 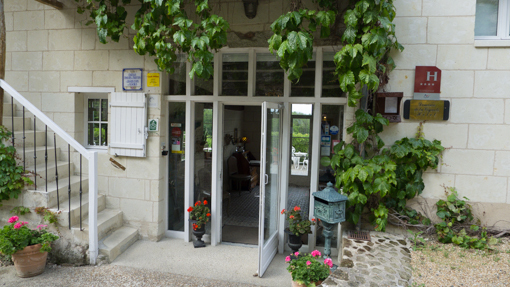 By going this way we get to see more of the countryside and explore the Loire Valley at our leisure. We chose Saumur as a starting point on the West and slowly worked our way upriver along the valley until we reach Orleans. The Loire , the longest river in France, flows east to west into the Atlantic near St Nazaire, passing through cities like Orleans, Tours, Saumur and Nantes. 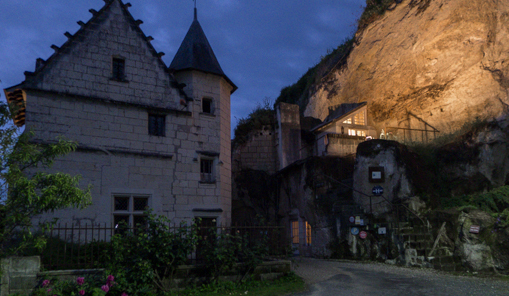 We split the driving from Lausanne to this region into 2 legs (stopping one night at Troyes). 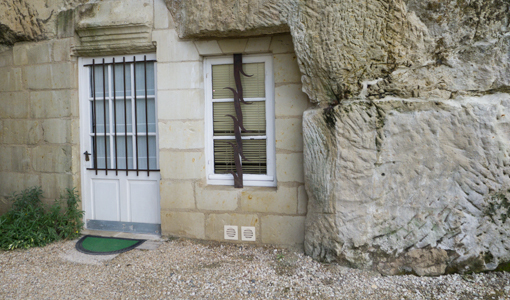 Our first two nights in the region were spent in this unusual hotel at Turquant, just outside Saumur. 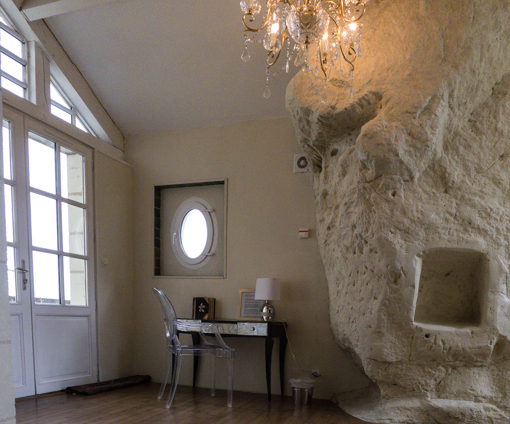 This small B&B/hotel – Demeure de la Vignole offers rooms and facilities that are built inside caves ! 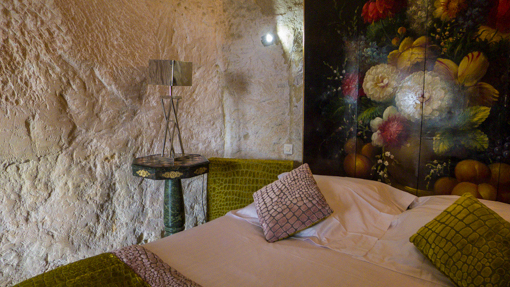 Our room is actually a small two-storey dwelling, the back of which are caves and the walls of the cliff. Looking out from inside the cave. 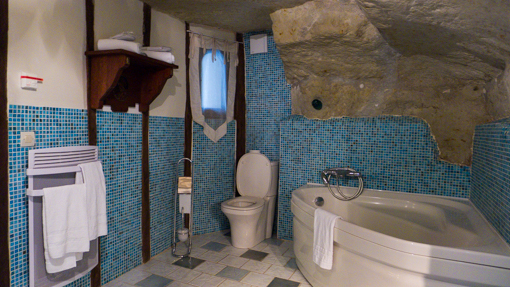 The toilet and bathroom as well as an “entrance hall” is on the ground floor. 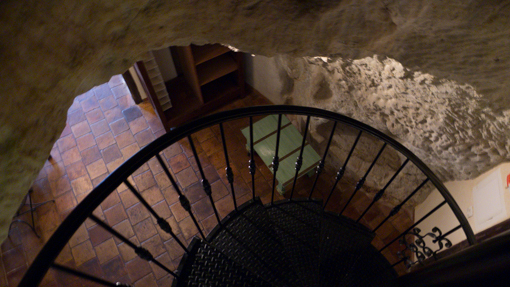 A spiral staircase rises through a hole cut into the rocks creating a passage to the cave above. Our bedroom, “living room” and balconies are on the second floor. This is the view from our bed. 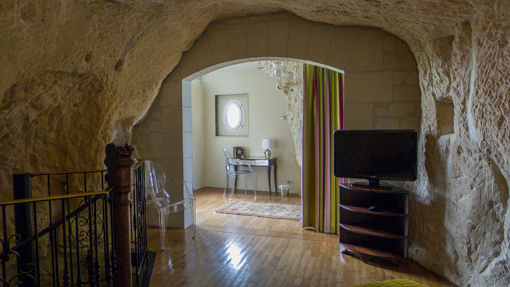 Caves are naturally cold and humid and our room was equipped with a dehumidifier. There were stickers on all the thermostats around the unit to warn us not to adjust them as they were carefully set. We can imagine that if the humidity is not kept low, the environment would encourage mold to grow (as witnessed in our trip to a mushroom farm (see later post)). 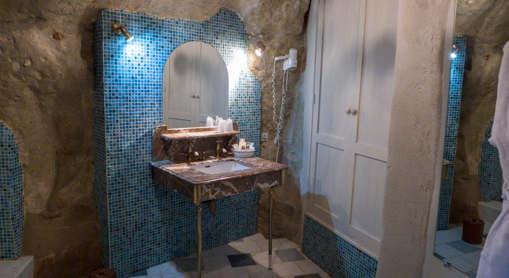 The place was spotlessly clean with no sign of insects or molds. 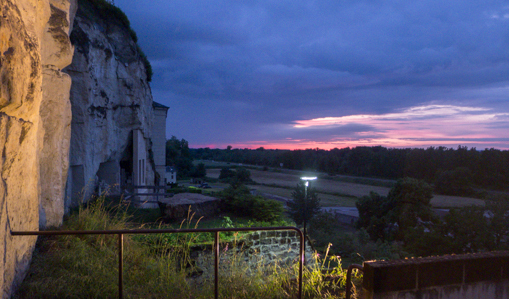 View from our balcony, looking out towards the Loire river at dusk. Our room and balcony is next to the lighted spot next to the cliff on the right side. 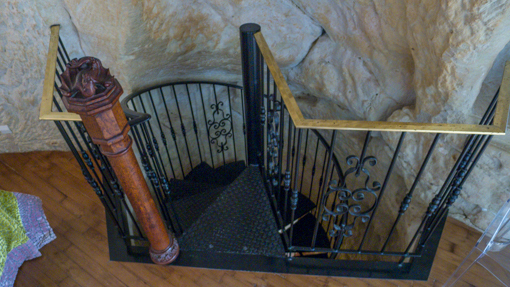 A cave dweller or troglodyte is a human being who inhabits a cave or the area beneath the overhanging rocks of a cliff. 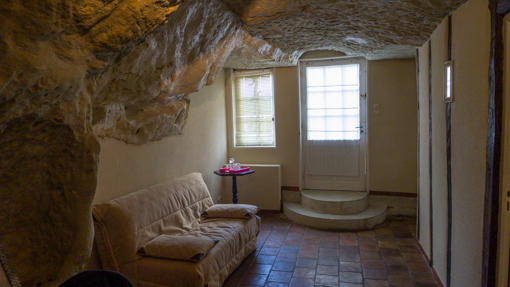 We became troglodytes for two days. More to come about the hotel.